Finally, an ND filter cap for the Tiffen 82mm Variable Neutral Density Filter! The Tiffen Variable ND filter is an adjustable Neutral Density (ND) filter that attaches to your camera lens to help reduce the amount of light hitting your camera sensor. This is great for when you want to use a large aperture so that you can create a shallower depth of field, or slow shutter speed to create motion blur for example. 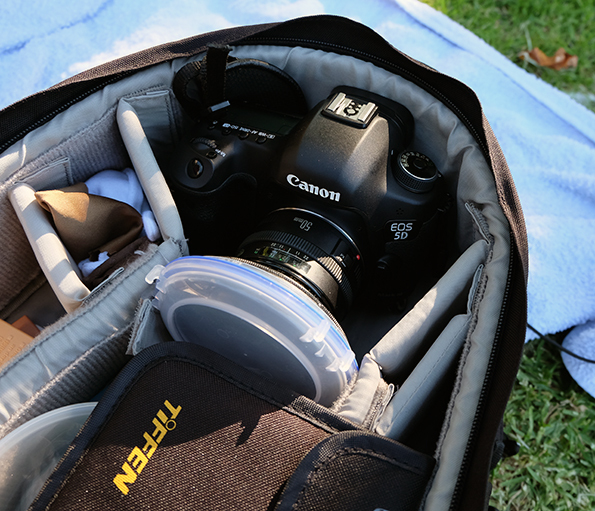 In general, an ND filter allows you flexibility regarding your exposure settings when you shoot. An example of its use could be when you have too much sunlight when photographing a subject and you want to set an aperture of f1.8 with your lens to create that alluring blurred background, while maintaining an iso 100 for minimal noise and a shutter speed of 1/125 to freeze your subject’s movement. In order to have the correct exposure due to the bright sunlight, you may need to set the shutter speed at 1/1000 because your iso has already reached its minimum iso of 100. You may not want to change to a smaller aperture as it will affect the depth of field and you will reduce the amount of blur in your background. By attaching a Tiffen Variable ND filter to your lens, you can reduce the amount of light entering your camera and therefore reducing the shutter speed to your preferred setting. 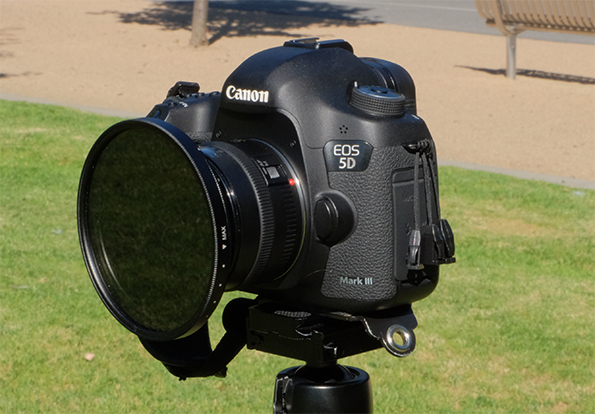 The benefits of using a Variable ND filter as opposed to a fixed ND filter is that you can adjust the amount of light entering the lens simply by turning the filter. It has been argued though that fixed ND filters produce better results as Variable ND filters can adversely affect the image, such as produce unwanted artefacts at higher settings such as the cross effect(X), soften the image, add vignetting or color cast. I have found the Tiffen Variable ND filter suitable for my needs of reducing the light transmission and I have not been in a situation where I have used the filter to the point where the cross effect issues have been recorded nor have I experienced vignetting. As for better quality results or color cast, this argument can be subjective. How much of a detrimental effect it has on the result is dependent on the user. The only notable issue I have found with the Tiffen Variable ND filter is it’s size. It is larger than the actual filter thread size when mounted. My Tiffen 82mm Variable ND filter is actually 97mm in diameter and even though, this is a benefit as it prevents vignetting, the problem is finding a protective cap for the filter so that you do not have to remove it from the lens when not in use. I have owned the Tiffen 82mm Variable ND filter for several years but used it minimally mainly due to this issue. It’s size, having to remove the filter every time I moved from location with the camera, or place it in my bag was an inconvenience. Without a filter cap, I was leaving the ND filter exposed to scratching, dust, dirt and knocks which this ND filter was too expensive to do so! There have been times that I was close to selling the Tiffen Variable ND filter because I was not using it enough and throughout those years, I have searched high and low for some type of object that I could use as a filter cap so that I could justify keeping it. I have considered cutting plastic containers, shaping styrofoam, using sauce lids, etc. 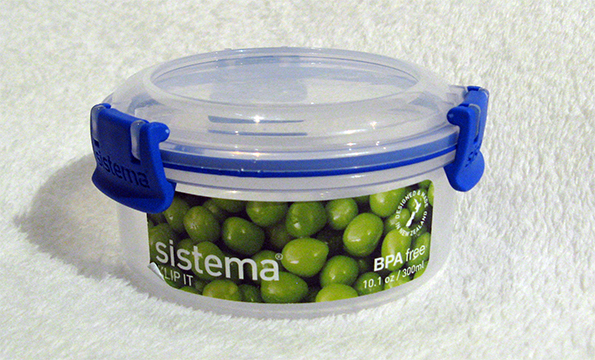 until one day I came across a round Sistema Klip It plastic food storage container at the supermarket. I measured it and low and behold, it was the right dimensions for the Tiffen 82mm Variable ND filter that I owned. The disappointing part is that I always had the-same container stored in the pantry but I never noticed it until I actually found the same container in the supermarket to use as an ND filter cap. The Sistema Klip It lid fits perfectly as an ND filter cap with just the right amount of tightness so that it does not fall off the ND filter. 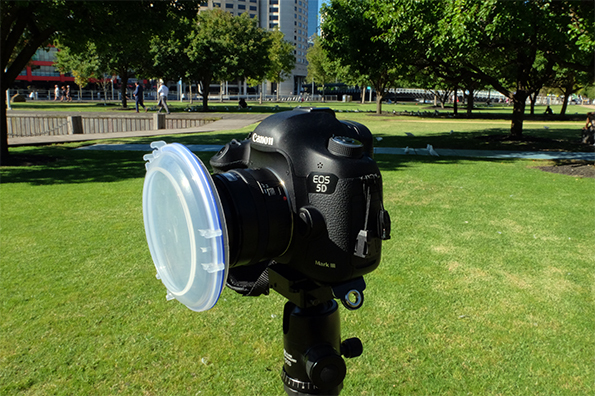 You can remove the plastic clips that attaches the lid to the bottom container or leave it on so that you can use the complete container as an ND filter case for transport. No need to remove the Tiffen Variable ND filter from the lens, as the filter cap protects the filter while it is stored in the backpack ready for transport. These plastic food storage containers should still be available in Australia at supermarkets such as Woolworths or Coles for about $5 AUD. They are called Sistema Klip It BPA free 10.1 oz/300ml storage food containers. Hopefully my discovery will help those searching for that elusive filter cap for their Tiffen 82mm Variable ND filter. The Tiffen Variable ND filter is a great Neutral Density filter to have, and now that I have a filter cap for it, I am more inclined to attach it to my lens when it is bright and sunny and leave it on so I can use it throughout the day.